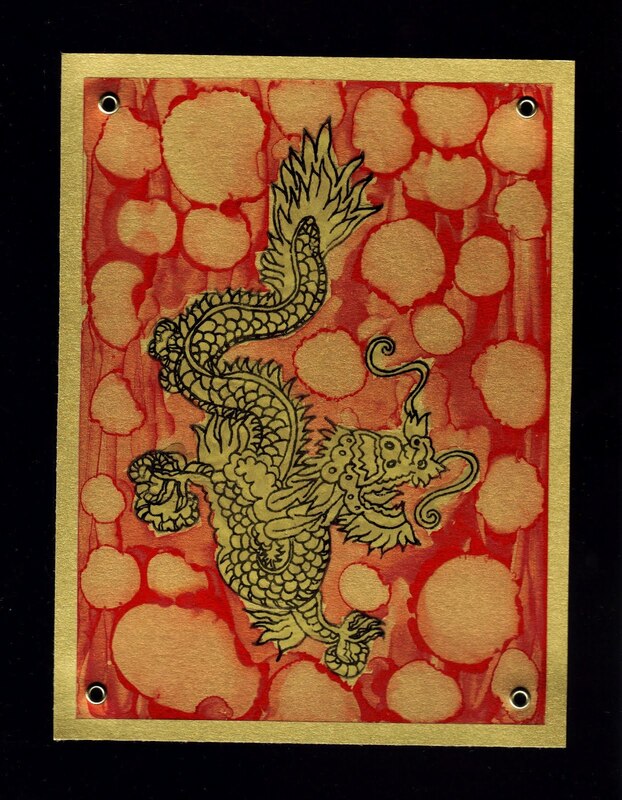 It features an Oak House Studio Dragon stamped on acetate with Stazon. For the background I've used Alcohol Inks dabbed with Blending Solution to create the circles and then matted this over gold card. It's very shiny in real life!! 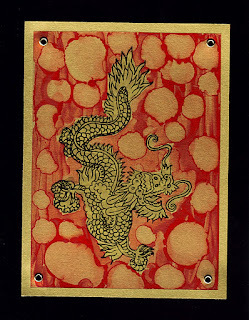 Let's hope the Year of the Dragon is a good year!